Hello! The Just-a-Scrappin' Challenge for 3-13-14 is St. Patrick's day! Make a card, Lo, deco, or altered art project for the coming St. Patrick's Day. 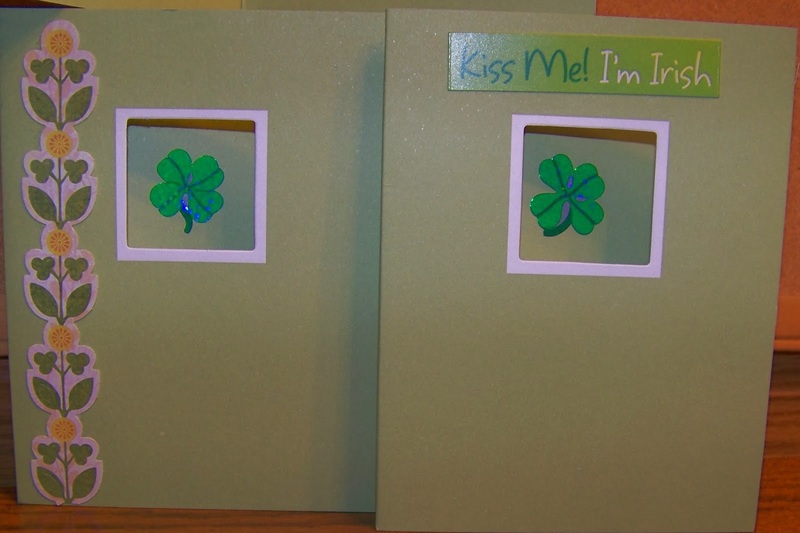 Here are two of the St. Pat's day cards I made. Using A2 base in green with a 1 1/4" window trimmed in white, shamrock stickers, die-cut flowers boarder and rub -on saying. I put together 5 cards like the ones pictured for Hospitalized Kids. Come join the Just A Scrappin' Challenge! Great cards, Sherry. Love the use of the window to showcase your images =) Thank you for sharing.